What does a serial killer have in common with an indie filmmaker? Quite a lot, or so suggests indie filmmaker Lars von Trier. We’ll say this with all sincerity: The House that Jack Built—a 2+ hour peek into the mind and methods of a murderer—is von Trier’s most lighthearted picture to date. It’s also as tedious and self-indulgent as Nymphomaniac: Vol. II. LvT’s artistry lies in his ability to make the viewer uncomfortable. His films are punishing, which is why his first foray into horror, the brilliant and wildly unnerving 2009 film Antichrist, was such a perfect fit. He returns to the genre with Jack, here allowing a sadistic murderer the opportunity to shed light on the filmmaker’s own discomforting artistry. Which can work—Julian Richards’s The Last Horror Movie and Remy Balvaux’s Man Bites Dog both offer blistering achievements on the theme. But Jack falters, and von Trier falters, in two important ways. The film does deliver sadistic glory, yet in terms of violence or depravity, it feels oddly safe. Not safe for all viewers, mind you, but horror fans and von Trier fans have seen far more envelope-pushing than what Jack depicts. There is one sequence—the picnic sequence—that is among the most perfect horror movie episodes ever filmed. Beyond that, much of this movie is competently made but ultimately tired. Just as the Nymphomaniac films traded provocative ideas for fist-shaking admonishments from filmmaker to critics, Jack devolves into an instrument wielded even less bluntly. Again, von Trier channels his tale through two voices: the protagonist and a straw man. Verge serves up the proselytizations on art and morality so Jack can knock ’em down, with snippets of von Trier’s previous films peppered in for anyone who still isn’t getting it. Not that LvT’s ideas on this topic aren’t interesting – far from it- but the line between personal and self-indulgent is the same one that separates uncomfortable questions that resonate (as in von Trier’s own Dogville) from spoon-fed answers that do not. One side makes for an engaging film experience while the other falls short, no matter how impressive the visual set pieces (which Jack does indeed provide). Von Trier has unapologetically wallowed in depravity his entire career, and those themes have served the narrative in amazing ways. Now he seems more interested in narratives that serve grandiose debates of his own artistic value. Let’s hope that road has reached an end. 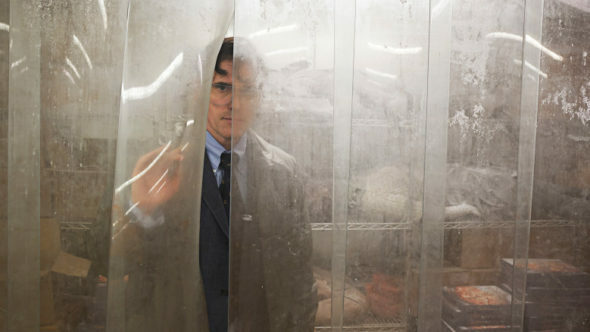 While von Trier remains an artist worthy of attention, The House That Jack Built stands as another missed opportunity.